Seconds Showing up Small or Stretched? Here's how to fix those videos from Whatsapp, Facebook Messenger, and other sources. We're working on making 1SE encode these videos better but in the meantime there is a work around so you can still use these important videos! 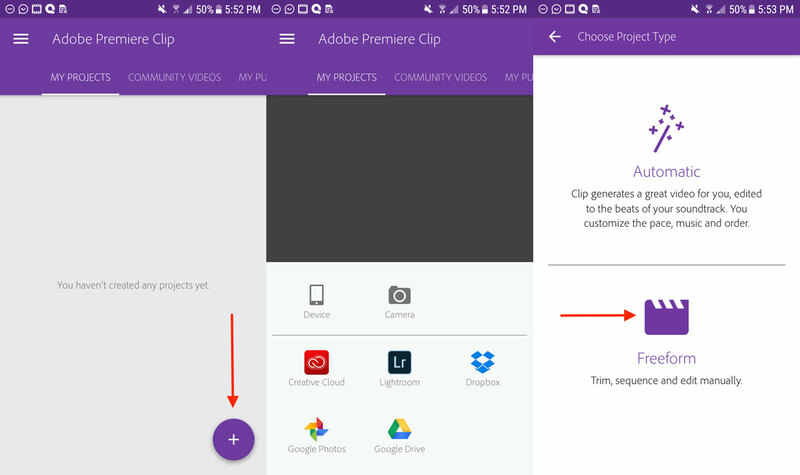 Please download the free app Adobe Premiere Clip and re-export the video. 1SE will then have an easier time using it. 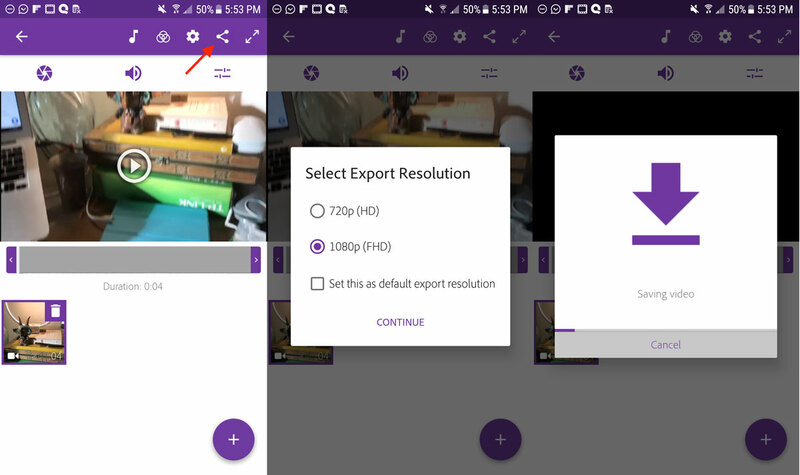 Step 4: Export the video (top right icon for sharing). Step 7: Open 1SE and select a second using this new video! All done! Your video should now save without any weird stretching or scaling.